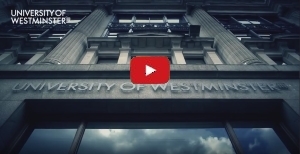 The University of Westminster is a diverse and dynamic international education institution situated in Harrow and at three campuses in the heart of London, one of the world’s great cities. The University offers a vibrant learning environment where innovative, creative and dedicated students can gain the skills and experience they need to succeed in professional life. The University has a distinguished 170-year history, and continues to attract more than 20,000 students from 150 different nations, making it one of the most popular UK universities for international students. A wide range of Westminster’s courses are independently rated as excellent, and the University’s research leads the way in many areas including art and design, electronic engineering, and media. It has also been recognised by the HEFCE as a Centre for Excellence in professional learning from the workplace. Internationalisation, employability and sustainability are key elements of the University’s vision for the future.